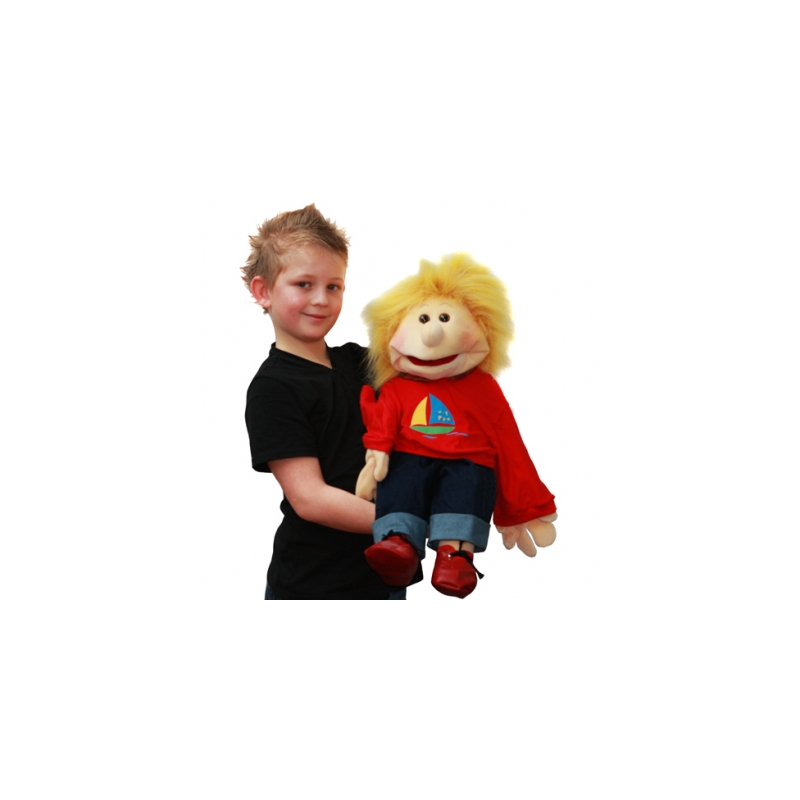 Large Lasse Living Puppet* - Very appealing with his smart removable sweater, light skin tone and he has his own schoolbag to store all his treasures! Removable Jeans, Jumper, Shoes & Bag. Not Suitable for Children under 10 Months due to long hair. Please keep all product information. 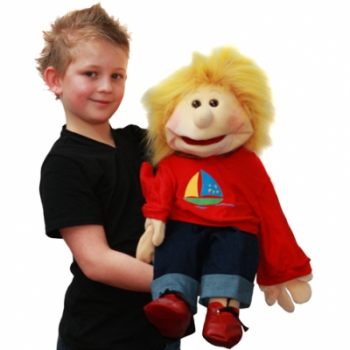 Dimensions: Height: 65 cm.